Lance Corporal W Tourrier was awarded the Military Medal for bravery and devotion to duty at Bullecourt. His Lewis gun was the only one to reach the objective. Lance Corporal Tourrier brought it back and every man in his team was wounded. A bullet pierced his helmet and caused a scalp wound. For his bravery he was personally complimented by his major. 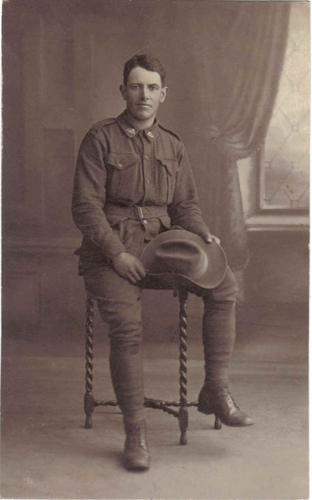 Lance Corporal Tourrier relinquished farming at Stony Creek South Gippsland to enlist in July 1915. In October he left Australia for Egypt with the 13th Light Horse. He arrived in France in March 1916 and was transferred to a machine gun section. His brother Theodore also served in France. 2/5/17 He suffered a head wound in action and went to Rouen. 9/10/17 He was reported wounded and missing.